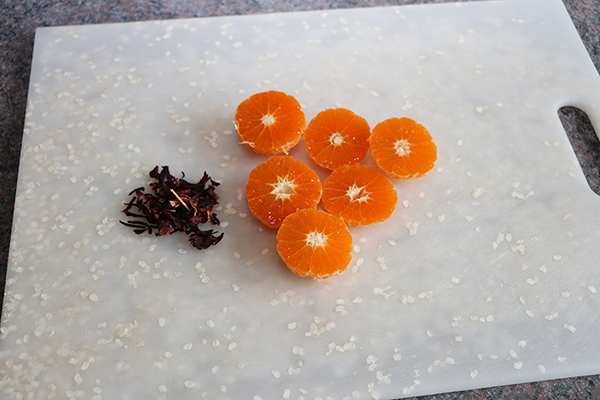 Mandarins are often purchased in large bags, so I’m going to post a few mandarin infused water recipes in a row. This one is very easy to make and packs a lot of tangy, exotic flavor! You will need some loose leaf hibiscus, which you can purchase at Whole Foods or on Amazon (here’s a great deal on a 1-lb pound bag of organic hibiscus flowers, which have a long shelf life). You can also use hibiscus tea, though it is not as flavorful or fresh as the dried flowers. The hibiscus will infuse quickly and will add a lot of flavor and color to your infused water. It’s a great ingredient to have handy. 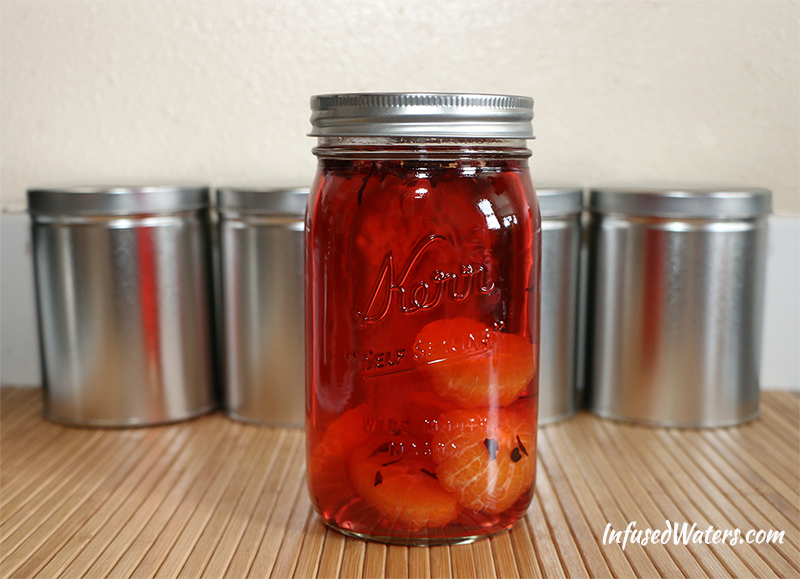 Recipe for a 32 oz Ball jar : 3 mandarin oranges, sliced in half + 1 tbsp hibiscus flowers (or 1 hibiscus tea bag). Add filtered water and infused in your refrigerator for 3-5 hours. Strain through a metal strainer and drink shortly after. If you can’t drink the whole water, simply strain the ingredients out and keep the infused water in the fridge. It’s important to not over-infuse the hibiscus as it can become overwhelmingly potent. 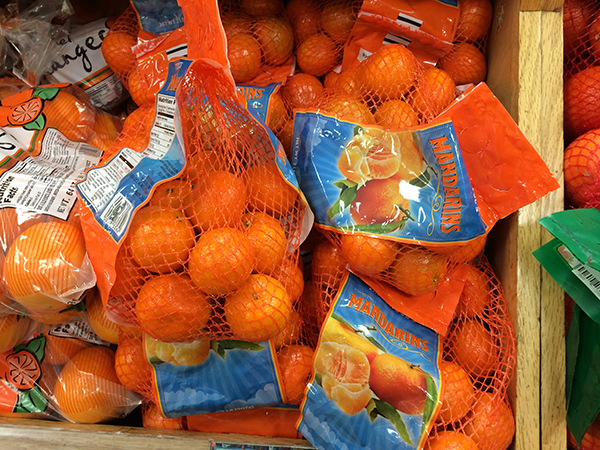 Mandarin oranges, also called tangerines depending on where you live, are sold in big bags because the fruit is so small. If you can’t find organic, don’t worry too much because you are going to be removing the entire rind. I hope this recipe brightens your winter a little bit. Enjoy! Should I always cut the rinds off the fruit??? Is there a reason I should or shouldn’t??? 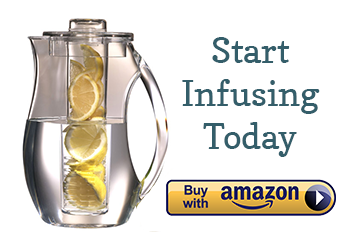 Hi Amy, I loved so much with your information, and i became inspired with all of the infused water recipes on this web. thank you so much, i can loss weight healthily. For this recipes, I wanna know, can we use a fresh hibiscus petals? i meant, not the dried one. Hi, Gusti. Fresh hibiscus is wonderful and congrats to you for having access to it! The best way to make “hibiscus tea” is to take the petals and pour hot (but not boiling) water over them, then let the tea stew for 10 minutes. Put this tea in your fridge and add it to your infused water as need. Or, you can also take the hibiscus tea and pour it into ice cube trays, then use the frozen cubes to add to any infused water for extra flavor and color. Can I use the Hibiscus leaves from my backyard plants? Hi Amy lovely website. I wish you answered questions more often, you don’t get an overwhelming amount of questions and it’s a bit off-putting that I rarely see any comments from you back to your commenters. In fact, this is the first one in 5 posts in a row that I saw a single comment from you. I’m sure life is busy, but please know that interaction with people on your blog is one way that will keep people coming back. I would like to try some things but have questions and feel that asking would be a waste of time. Which sadly then, makes me want to look for a different blog. Sorry for the negativity and please know that I do so appreciate this website.